High strength, bioavailable iron formula with clinically relevant cofactors and plant based iron sources. 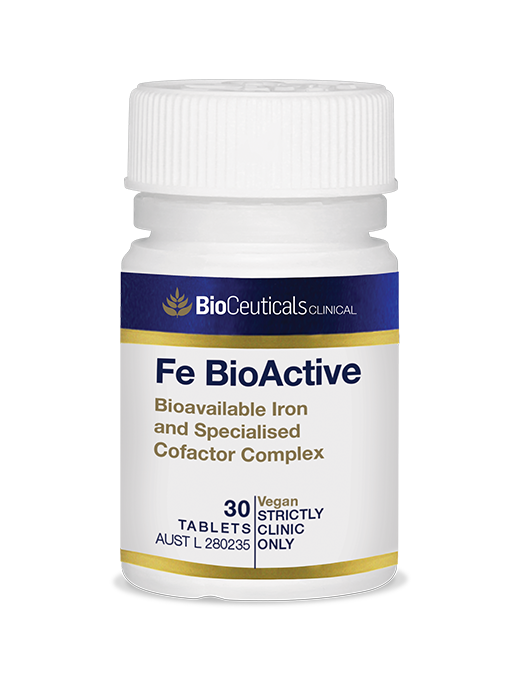 Fe BioActive is a high strength bioavailable iron supplement with activated B vitamins, as well as vitamins A, C and copper for enhanced absorption and utilisation. The vegan formula also contains plant-based sources of iron including beetroot and organic spirulina. To view more information about this product, please login into your BioCeuticals account.